With so many different brands and models, it can be quite time-consuming to research and decide which bike rack may be the best for your needs. Additionally, “best” is one of those words that is very subjective. 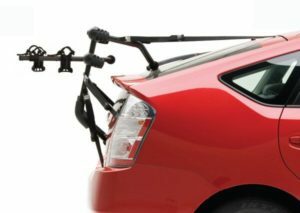 “Best” can mean inexpensive bike rack or a bike carrier that fits perfectly on a car that has a spoiler, or great for a minivan. 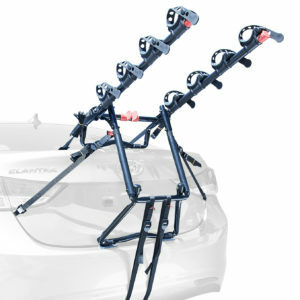 In this post, we are going to cover 8 trunk-mounted bike racks, for different bike sizes and different price points. In order to save you time, we have done extensive research on Amazon.com, the world’s largest online marketplace, and have found at least 2 racks for each bike size that are rated 4 stars or higher out of a maximum 5-star rating. We also narrowed our search based on the number of reviews and/or questions each product has received; a minimum of 100. In short, the bike racks that are reviewed in this article are directly rated one of the best in their category by actual users at the time of writing. Of course, it goes without saying, these ratings are subject to change over time, however, the brand names that are mentioned in this article are top of the line when it comes to bike racks, so we believe this list will be relevant for a long time. This bike rack is produced by Tiger Auto, and as you can see from the name of the product, it only carries one bike. Tiger is not a major bike rack manufacturer, they mostly produce and sell car parts, grill guards, jeep parts etc. This 1-bike rack from Tyger is so highly rated, we just could not ignore it. It fits all the criteria we mentioned above and at the time of writing this article, it had a perfect 5-star rating. So we decided to add it as one of the 1 bike reviews for this article. Tyger deluxe has a very stylish design with a black frame. It weighs about 8 pounds, the measurements are 21.5 x 15 x 10 inches. The distance between the arms is approximately 11 1/2 inches. Tyger Deluxe comes fully assembled, it takes minutes to install and it fits most sedans, hatchbacks, minivans and SUV’s. However, if your vehicle has a rear spoiler, this bike rack will not fit. The padded lower frame of the rack is designed to keep your bicycle away from your vehicle. Includes soft cradles to protect the bike frame and secure your bike at the same time. In general, it is easily adjustable to fit most vehicles really well. 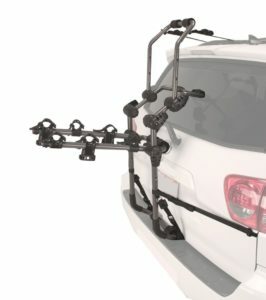 Multiple buyers mentioned that they used this bike rack for a long road trip ( 5 hours or more ), and they were very satisfied with how secure and reliable it was. The foldable carry arms, when the rack is not being used, are a part of the smart design for this model for convenience. One information we could not find is the maximum capacity for the bike weight. However, based on the answers from the customers we have read, it is really sturdy and carries a regular adult bike with no issues. The price is also very reasonable, another major plus, if you are looking for a single trunk mounted bike rack. Allen ultra compact MT-1 is one of Allen Sports’ most popular bike racks. As a matter of fact, we have a whole article dedicated to Allen Sports racks, including MT-1, so if you would like read more about this model or any other Allen racks you can check them out here. In summary, MT-1 gives you a very light, very compact bike rack that can be folded and put in a carrying case (which comes with the product when you purchase it). It also fits most SUV’s, sedans, and hatchbacks. Saris has been around since 1989 and is known for their unique designs among other things when it comes to bike racks. Saris 805 is no exception, its unique arc-based design allows it to fit over most spoilers. 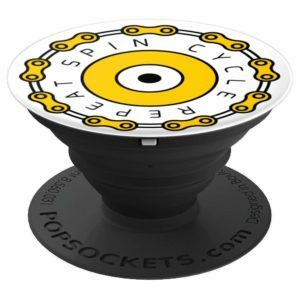 It has injection molded arms and legs, which makes this product very durable. If you are in Europe or, planning to use this product in Europe, you are in luck, Saris 805 meets European Union regulations. They pay special attention to detail in order to make sure their bike racks do not damage your car. Having said that, this rack comes with a lot of straps, which some of them you may end up not using. Make sure you secure the ones you don’t use because if you leave them loose, they might end up scratching your car. The rubberized feet are added to protect your car in addition to the coated straps, which protect your bike. It is not heavy, and easy to install. Its independent support arms allow you to adjust to the frame of the rack, and the arms can be adjusted to the height of the bikes as well. Made in Madison, WI, USA, it is built with 100% recyclable, non-rusting material. It weighs about 9 pounds. Saris offers a limited lifetime warranty for their products. Saris.com has a fit my vehicle section that you can use to see if this model fits your car. 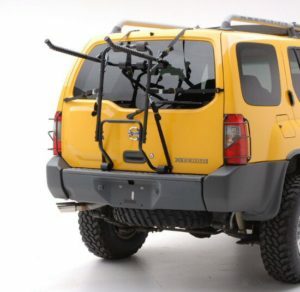 Hollywood Expedition is a trunk mount bike rack for a car with a spoiler, It is also fully adjustable with adjustment hubs with quick release levers. It fits most vehicles, spoilers or not, and comes fully assembled. It has six attachment straps, they keep this rack securely installed to your vehicle. The hooks are coated in a durable plastic in order to prevent them from scratching from your car. It folds flat for easy storage. It is easy to install. It is easy to use for a man’s bike, bike some buyers stated that it was tricky for a woman’s bike. It weighs about 7 pounds and dimensions are 21 x 9 x 26 inches. Unfortunately, again we could not find any information on the maximum weight capacity. All Hollywood racks come with a limited lifetime warranty. Thule is probably the most recognized brand when it comes to bike racks. It was established in Sweden in 1942. Today, under the umbrella of Thule Group, it has over 50 sales and production locations all over the world with over 2000 employees. Its product line includes bike racks, cargo racks ( if you are interested in one, read our review for Thule Sidekick 682), stroller and child carriers even backpacks and laptop cases. Thule Raceway PRO 2 and 3 bike series were introduced recently to replace the previous 9001XT and 9002XT. 9002 PRO 3 bike trunk mount rack weight around 21 pound and its dimensions are 8.5 x 24.5 x 27.5 inches. Its maximum load capacity is 100 pounds. It has a nice stylish design with a black finish. Thule offers “FIT-DIAL” guarantee: Perfect fit to your vehicle. Of course, you should always check their fit my car section on their website first to find out if 9002 PRO is compatible with your car 🙂 Thule’s general fit rule is, their strap racks are designed to fit any vehicle with a factory-installed rear spoiler. If you have a custom installed one, that is not covered under Thule’s perfect fit promise. The No-Sway cage is designed to prevent bike to bike contact. 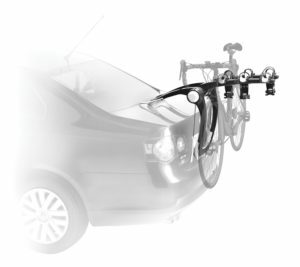 A lockable cable (locks included) is included to secure your bike to the rack and the rack itself locks to the car. It has molded rubber pads to avoid scratching your car. The cradle arms are narrow enough to hold a variety of bike frames such as kids bikes as well as adult bikes. They also can be folded when the rack is not being used. Thule 9002 PRO is easy to install and it can be used with most hatchbacks as well. It is not recommended to open the hatchback while the bikes are on the rack. Over-The-Top Hollywood Model F2-3 has an adjustable “high rise” frame which should prevent the strap from contacting the spoiler of your vehicle. It fits most vehicles without spoilers as well. It is fully assembled and like most Hollywood racks it has anti-sway bike cradles to prevent bike movement while in use. Its dimensions are 33.3 x 10.2 x 19.8 inches, the spacing between bike cradles is 9” and the distance between support arms is 11.5”. The maximum thickness of the bike frame that the cradles will support is approximately 2.125″. This rack is 27″ from the base to the furthest point on the support arm. F2-3 Includes hatch anchors and quick connect hooks for secure attachment to hatches, trunks and roof racks. 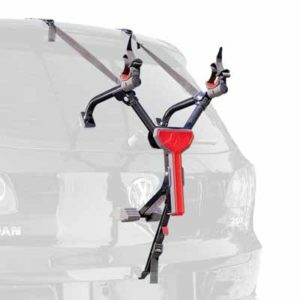 These features make this rack easy to install and quite adjustable, especially for SUVs minivans and hatchbacks. It also folds flat for easy storage when not in use. The arms aren’t adjustable. You will not be able to adjust the arms to fit a female beach cruiser, for example. You might be able to mount it on the rack at an angle. Another solution for this is to get a bar adapter. It seems like F2-3 is built mostly for men’s bikes. If you have female bikes or a mountain bike you are going to have to mount them at an angle or upside down. The bikes will still be secure but for some people, having the bikes mounted this way might feel awkward. F4 can carry up to four bikes and it comes with motorcycle tie down buckles and extra side straps. This rack is built for heavy loads. It has extra heavy-duty steel tubing and hardware. It is pre-assembled and folds flat for easy storage. And if that is not enough, it even includes a day glow safety flag. The dimensions for Hollywood F4 are 21.4 x 31.7 x 6.3 inches. It weighs around 20 pounds. Another important feature we should mention is its dual positioning trunk/bumper system that allows a custom fit on most sedans, SUVs, and minivans. It is also quite easy to adjust. This rack does not seem to have the same issues when it comes to mounting female bikes or kids bikes on it. Multiple buyers mentioned they did not need extra bars to load the female or kids bikes on it. It can be used on a minivan but it is not recommended to mount it to the top of the rear door. It seems really durable, buyers said the have used this rack over and over again without any issues, one buyer even mentioned a 2000 mile trip with 1 adult bike and 3 kids bikes with no problem. S-104 is a 4 bike trunk mounted carrier that fits sedans, hatchbacks, minivans, and SUV’s. It comes fully assembled and has a quick set-up and fold design for convenience. Its 21″ Long carry arms easily accommodate up to 4 bicycles with and maximum capacity of 140 LB. We already have a full review on Allen Sports bike racks, including S-104, so if you would like read the detailed review, please click here. It seems like you can’t go wrong with any of the bike racks we mentioned in this article. As you can see, we did not talk about specific prices for these racks. The main reason for that is, while most people judge the value of a product by how much it costs, the real value of any product varies dramatically based on specific needs of the person buying that product. It goes without saying that, the more bikes a rack can carry the more it is going to cost. So in that sense, we, unintentionally reviewed these products from lowest to highest in terms of price. 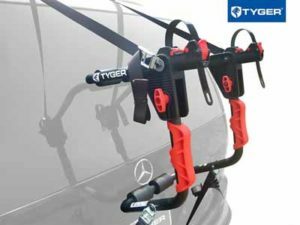 There is more to consider, though, if you are looking for a trunk mount bike rack for a car with a spoiler, for example, Tyger Deluxe is not the bike rack for you while Saris 805 or Hollywood Expedition might be what you are looking for, even though it may cost more. 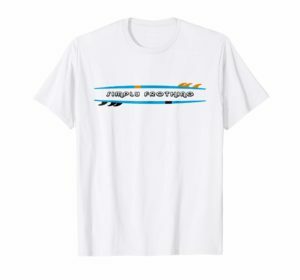 If you really like the Thule as a brand, whether you have one and really like it, or have heard that it is one of the top brands, well then Thule Raceway PRO 3 is what you probably think is the best value for your money. 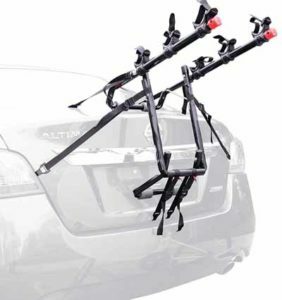 Or if you are looking for a trunk mount bike rack for a minivan or a hatchback, Allen S-104, Hollywood F4 among others seem like a great fit. In short, while prices for these products may change over time, the real question is, which one is going to solve the specific problem you have in terms of safely storing your bikes when you go on that next great adventure. Hopefully, we were able to answer that question for you, providing enough information that saves you valuable time when you are looking for your next bike rack. One important point we wanted to mentioned again, even though every company we mentioned in this article says their product generally fit most cars, please make sure to check their fit guides on their websites before you make any decisions. 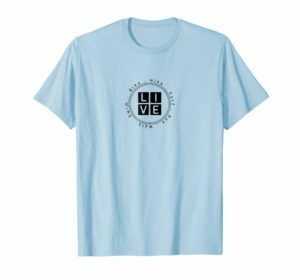 You can find the links for those fit guides below. * For Saris fit guide, make sure you select “search for trunk racks” at the top of the page. This entry was posted in Bike rack on March 8, 2017 by ozziewizzard.